The Port of Columbia County on Wednesday approved a resolution to amend a site development and option agreement with NEXT Renewable Fuels Inc. The resolution passed unanimously, paving the way for NEXT to develop a green diesel biofuel production facility at Port Westward Industrial Park. NEXT purchased a 25-acre parcel at Port Westward last month. Wednesday's resolution adds a potential 94-acre parcel adjacent to the 25-acres, creating a 119-acre site. The port is proposing to lease the 94-acre parcel to NEXT, assuming a zone change is approved to allow industrial use on the land. In a March 19 letter to the port commissioners, Columbia Riverkeeper urged port officials to delay their decision on the resolution until they more thoroughly reviewed the history of NEXT President Lou Soumas. 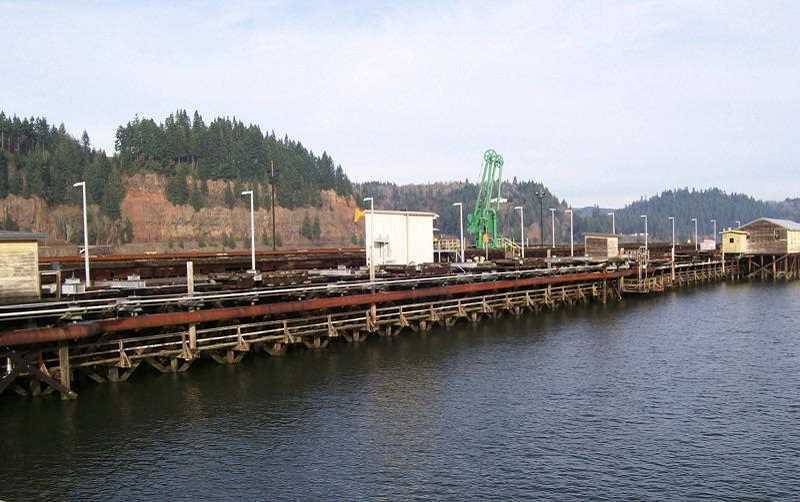 Soumas was involved in TransMessis Columbia Plateau, a company that attempted a renewable fuels operation in Washington, only for it to fall apart, leaving in its wake a $672,000 environmental cleanup and lawsuit alleging close to $1.7 million in unpaid bills. Columbia Riverkeeper also requested that the port allow the public to review a draft site development and option agreement before voting on the resolution. The port did not delay the vote or provide for public review of a draft agreement. At the March 20 meeting, commissioners said they had thoroughly reviewed Soumas' history months ago. "I don't think we'd be sitting here today, wanting to do this [agreement] if we didn't have this information," said Commissioner Larry Ericksen, saying the bottom line is that the Environmental Protection Agency looked at the facts and found TransMessis was not liable for the cleanup problems. In a public comment, Carol Sweet of Scappoose raised concerns she had after reviewing the report from Columbia Riverkeeper. "I hope we can put in whatever agreement we have with this company that they cannot just change the agreement," and shift industries or ownership, Sweet said. The resolution is not a lease, and any potential development is still far from breaking ground. Before any development can take place, the port will have to win a years-long struggle to rezone the land. The 94-acre parcel is part of the 837 acres the port is trying to rezone from farmland to industrial use land. The Columbia County Board of Commissioners initially approved the rezone more than five years ago, but Columbia Riverkeeper and others appealed the decision to the Oregon Land Use Board of Appeals. In 2014, LUBA determined the Port of Columbia County had not shown that the rezone proposal would be compatible with farms that neighbor the contested land. LUBA sent the decision back to the county, which approved a revised rezone application in February 2018. Again, Columbia Riverkeeper, along with 1000 Friends of Oregon, appealed the decision. In December, LUBA narrowly found in favor of Columbia Riverkeeper, rejecting eight out of the nine arguments. The port appealed the decision, and oral arguments on that appeal took place this week. Unless LUBA finds in favor of the port, the proposed 94-acre lease with NEXT will not go through. There is no set deadline for a decision from LUBA, but it could easily be an eight-month wait, noted Doug Hayes, the port's executive director.